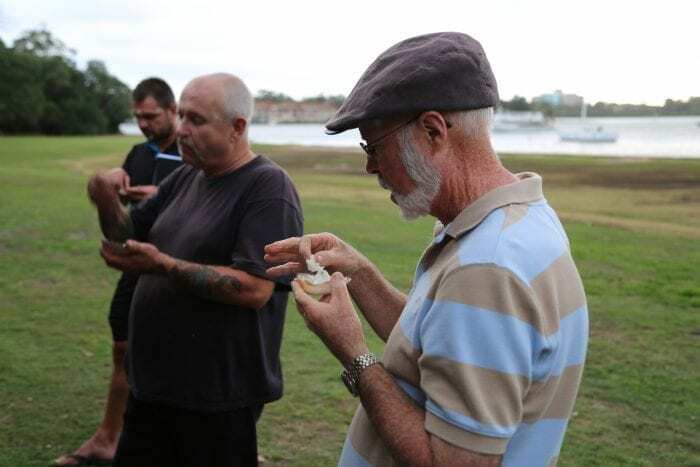 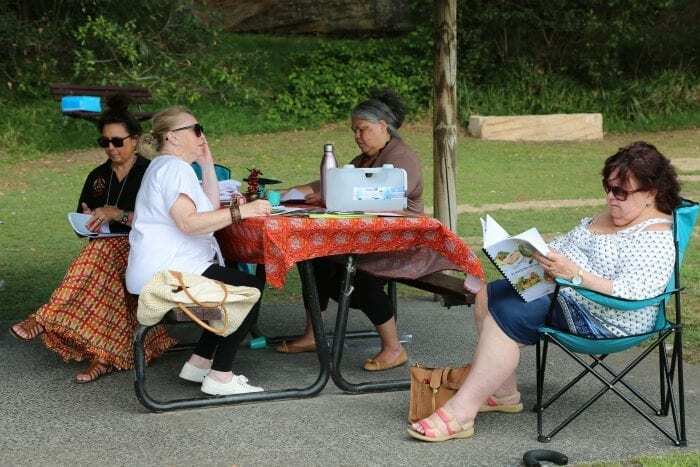 Some of the local Mob from the Ryde region gathered this week to yarn, on the shores of the Parramatta River, Putney Park. 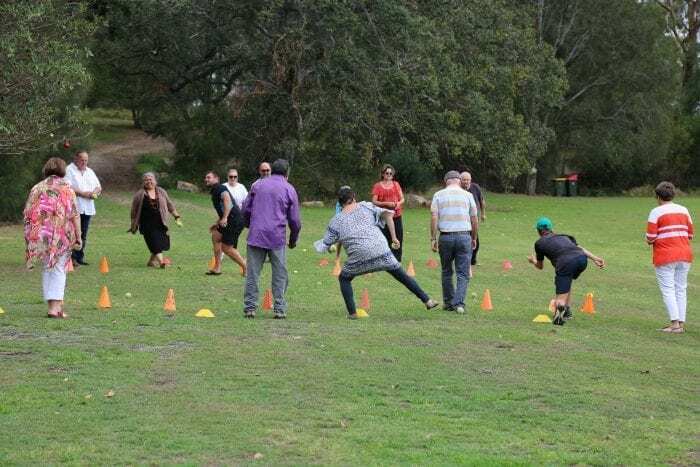 The afternoon was spent playing some traditional games from the Torres Strait and central NSW, led by Michael Kline from Activempowerment. 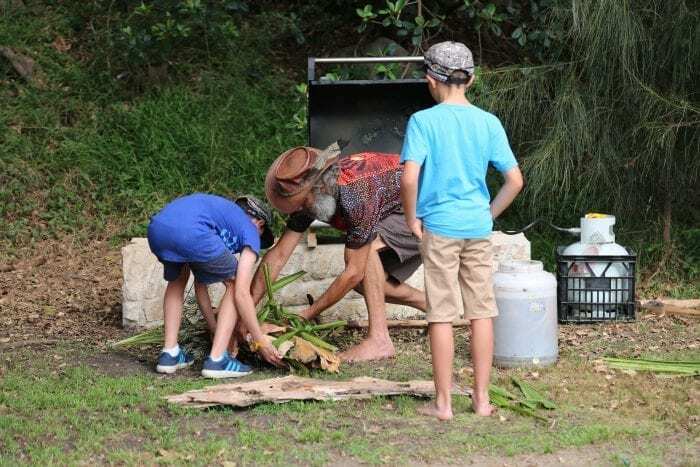 These got all three generations’ hearts pumping. 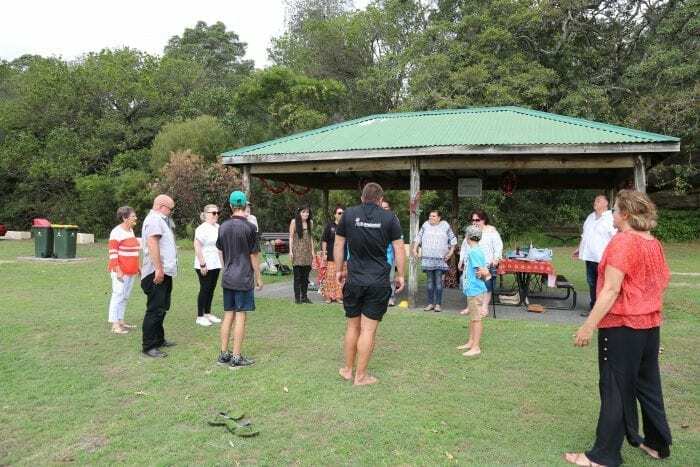 This was followed by an Ochre ceremony led by Susan and Selina from Caber-ra-nanga Engage, and some mind calming activities from Justin. 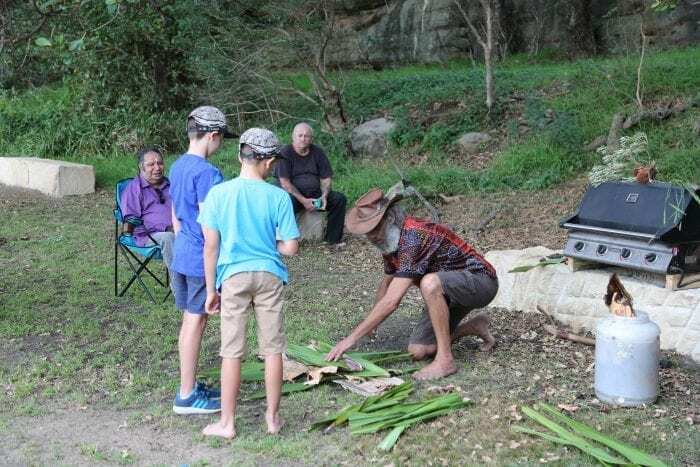 Wonderful crocodile and kangaroo snacks were served by Fred, from Fred’s bush tucker. 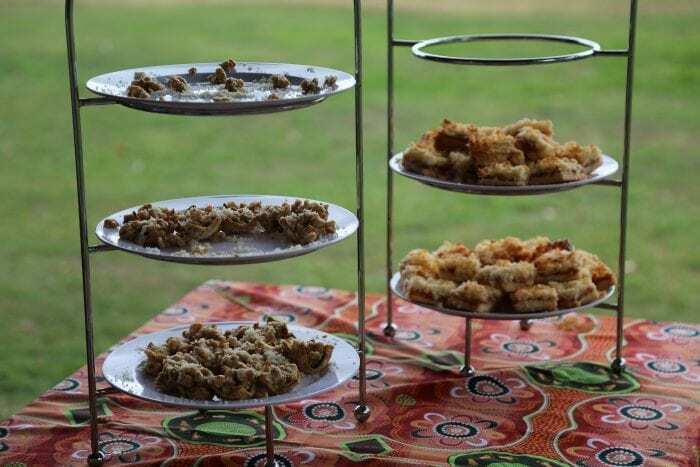 These were accompanied by Lilli Pilli cordial and quandong jam slice. 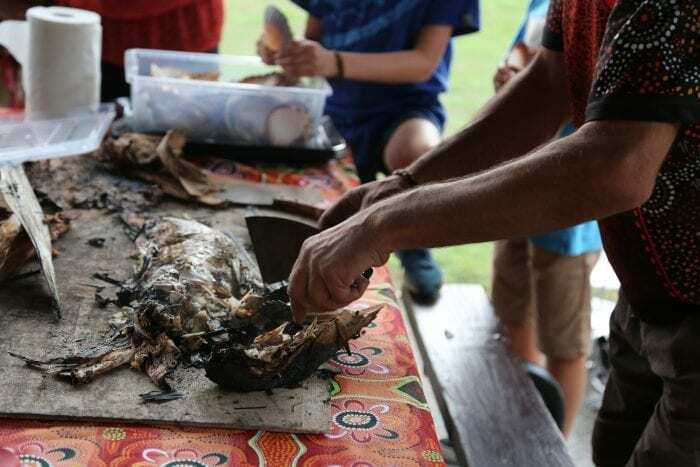 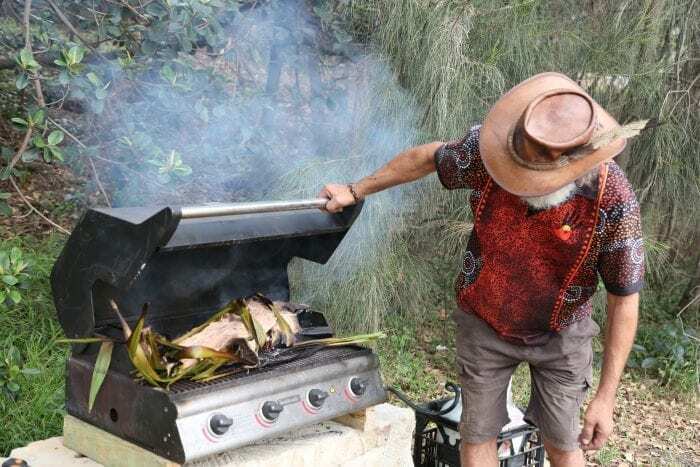 Fred also demonstrated cooking of a tradition paperbark smoked snapper…delicious! 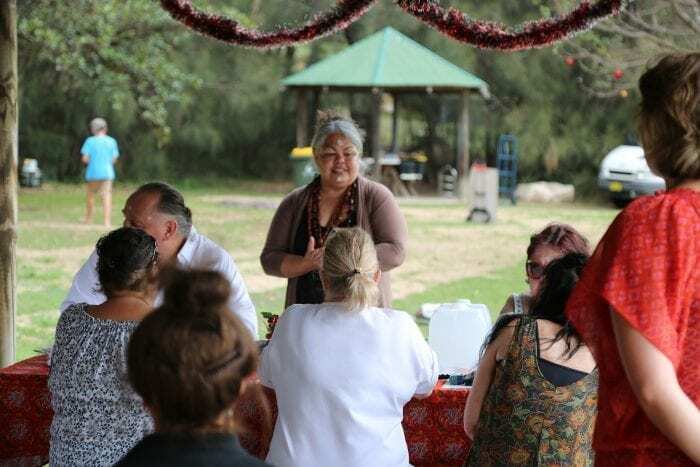 Feedback from everyone was excellent, keen to connect culturally to improve their health and wellbeing. Sydney North Health Network (SNHN) is working closely with Caber-ra-nanga Engage (Relationships Australia & The Gaimaragal Group), and Activempowerment to help to connect the Aboriginal and Torres Strait Islander families living in the Ryde region. 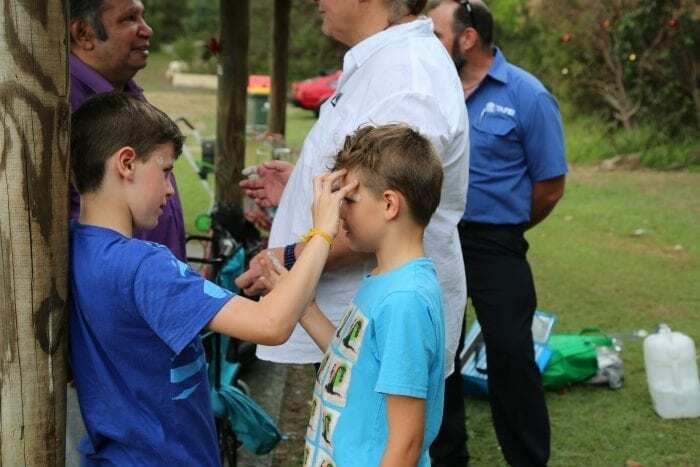 If you know any people that would like to be involved, please ask them to contact Melanie Gould, 9432 8258 or mgould@snhn.org.au.